Master of Fine Arts, Painter, certified Designer, Master of Gold and Silversmith, Member of the Portrait Society of America. "A glance at the sea, an interesting film, a discussion, a special person, a dance, a dream or a fleeing thought¦ individual moments form a melting pot of ideas for my work and my expressiveness." 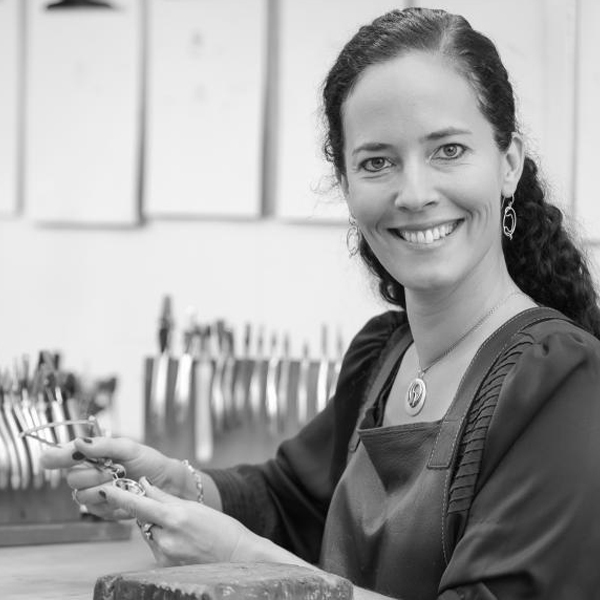 Born in 1972, the painter and goldsmith Alexandra Telgmann works independently in her own Atelier ( studio) in Oldenburg. She designs her own style of oil paintings and jewelry as well as portraits in oil. During her education she studied at the Zeichenakademie Hanau and at the Savannah College of Art and Design (Savannah, Georgia, USA) and specialized in portraits and oil painting. Her works, which have been displayed in national and international exhibitions, have received multiple awards. The ideas and colors behind my oil paintings consist of a multitude of inspirations: individual pictures, moments and personal impressions. I initially record these impressions in the form of a loose sketch on paper- these serve as a guide for further design. All these color nuances are retained in my thoughts. Using the idea, the sketch and the coloring, I mix numerous colors in order to create subtle color transitions. Making use of gold leaf is one of my favorite ways to paint. The permanence of its warm brilliance fascinates me. It reflects or absorbs light according to the light source, casting oil paintings in a new light again and again in the process. In this situation my two professions interlock. The gold and the oil color on the canvas are processed with techniques I have learned from goldsmithing and this leads to interesting structures and contours. The fascination of capturing portraits, animals sculptures, figures and abstract pictures on canvas via a multitude of colors and giving these a unique form of expression is, for me, one the most beautiful and fulfilling forms of work in the world.